The Asia Universities Summit 2019 will be held in May at Khalifa University of Science and Technology (KU) in Abu Dhabi. Click here to learn more about Khalifa University. Getting to KU from Abu Dhabi International Airport by road: Take either the E10 or E20 highways from Abu Dhabi International Airport. The estimated journey time is 30 minutes depending on traffic. 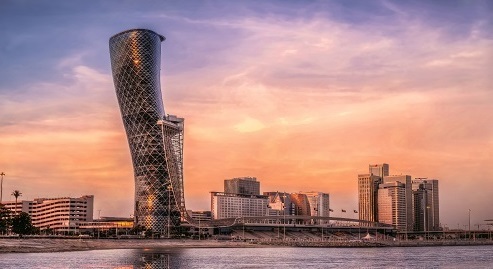 Getting to KU from Abu Dhabi International Airport by public transport: Take the A1 bus from Terminal 1 at Abu Dhabi International Airport to Sheikh Rashid Bin Saeed Street/Immigration Department. The estimated journey time is 50 minutes depending on traffic. 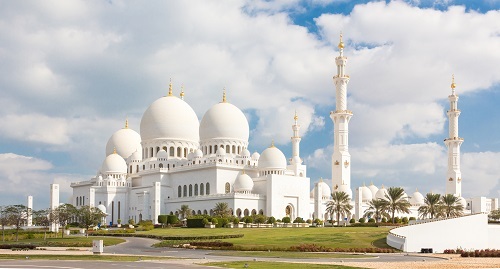 Sheikh Zayed Grand Mosque. Constructed between 1996 and 2007, it is the largest mosque in the country and the third largest in the world. It was ordered to be built by the first president of the United Arab Emirates, Sheikh Zayed bin Sultan Al Nahyan, who wanted to establish a structure that would unite the cultural diversity of the Islamic world with the historical and modern values of architecture and art. Al Ain Palace Museum. Located on the western edge of Al Ain Oasis, the palace was built in 1937. It was made into a museum in 1998, being considered a symbol and a memorial for the modern history of Abu Dhabi Emirate and the UAE. Etihad Antiques Gallery. Created by two art aficionados – Emirati Khalid Seddiq Al-Mutawa and German-Syrian Mohammed Khalil Ibrahim – the gallery features antique pieces as well as contemporary works by local artists. Ferrari World Abu Dhabi. Opened in 2010, it is the first Ferrari-branded theme park. The world’s fastest rollercoaster, Formula Rossa (0 to 150 mph in 5 seconds), is located here. Qasr Al Hosn is the Emirate’s first permanent structure, which was home to the ruling Al Nahyan family. Also known as the White Fort, it was constructed in 1761. Umm Al Emarat Park. Originally named Mushrif Park, the newly renamed Umm Al Emarat Park has recently reopened after extensive renovation with the purpose of providing community-focused educational and recreational venues and experiences.